The Banana Dragon is a bit of a clown. It likes to shed its skin right before this trainer walks into the room so that he slips on it. Then it laughs uproariously. Curious. 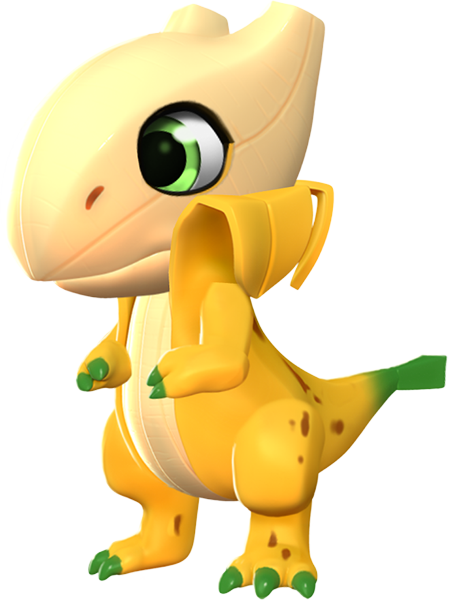 The body style of the Banana Dragon is upright. Its body is in the form of a banana, with the banana skin acting as the main color of its body as it peels away from the head making it appear as if the Dragon is wearing a coat. The banana skin covers all of its body except the head and the underbelly which is the color of the banana flesh. From its head protrude two short, stubby horns and the head curves down smoothly into its beak. It has bright green eyes and slitted nostrils. The tail ends with the green stem of a banana and there are several brown spots and blotches on the tail and leg. Both its feet and hands have green claws the same color as the tip of its tail. 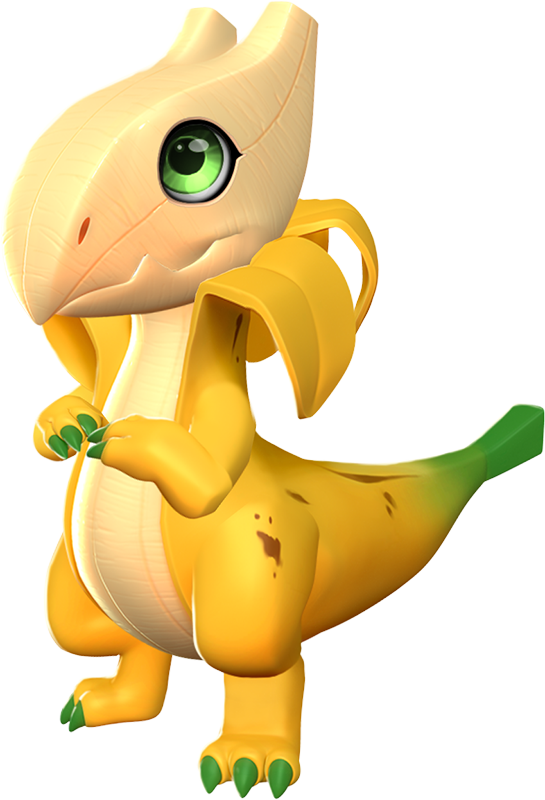 The Banana Dragon is a Normally-Breedable Dragon which can be obtained through the breeding of two Dragons having together or being able to pass the Plant, Water and Energy Elements or through purchasing it from the Main Shop in exchange for 1,625 Gems. Both methods require the Trainer to have reached Level 19. Breeding for this Dragon takes 20 hours while incubating and subsequently hatching the resultant egg takes 1 day, 2 hours and 40 minutes. 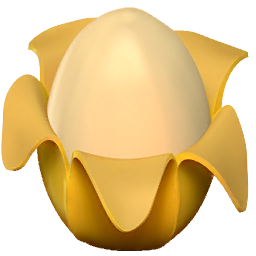 With an active VIP Status of Level 2 or higher, the breeding time is reduced to 16 hours while the hatching time is reduced to 21 hours and 20 minutes. No combination is guaranteed to result in this Dragon. Multiple breeding attempts may be necessary to obtain it. Although any of the combinations listed in the table below may be used, the above combinations are suggested as the best option due to having the lowest breeding times and possible outcomes. This page was last edited on 22 October 2018, at 11:47.